Vocabulary and grammar. 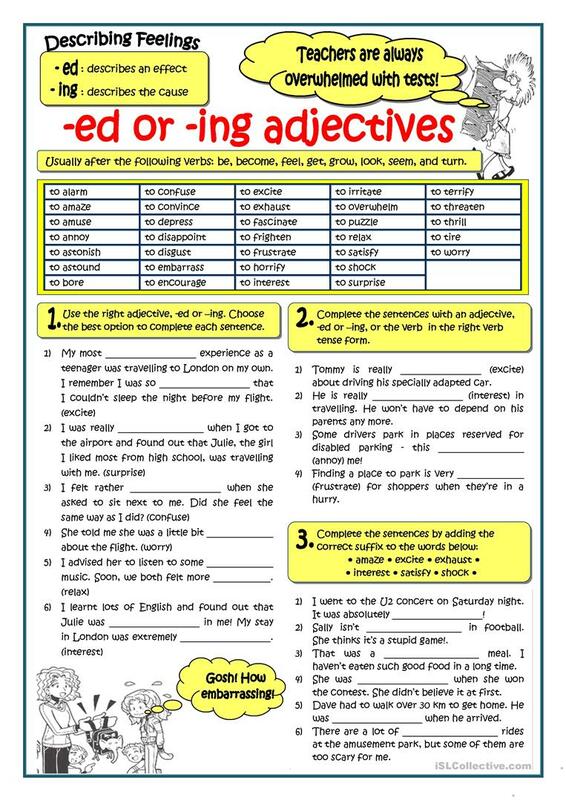 Practice on participial adjectives, either ending in -ed or -ing. The list of adjectives given can be used for speaking purposes. Key provided. The above downloadable printable was created for high school students and adults at Pre-intermediate (A2) and Intermediate (B1) level. 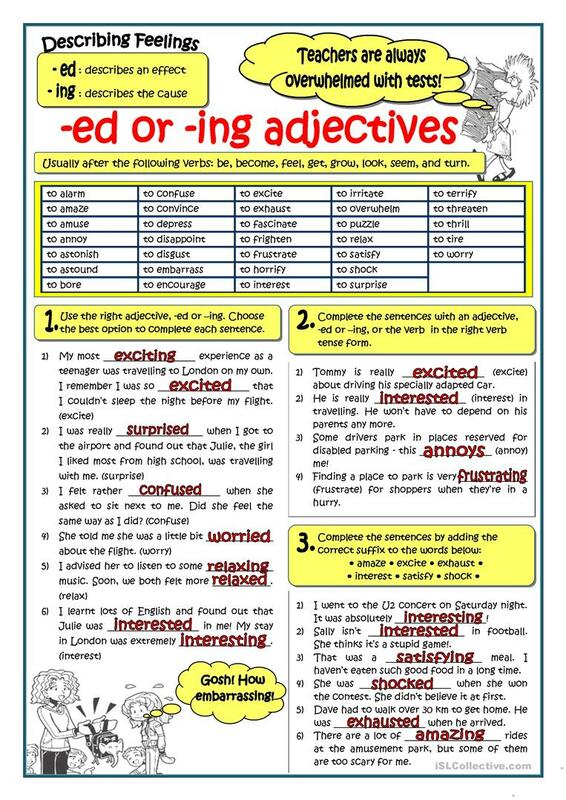 It is a useful material for teaching Adjectives, Adjectives to describe feelings / mood / tone and Adjectives with –ed or -ing in English, and is a valuable material for honing your learners' Speaking skills. It features the vocabulary topic of Travel. The solutions are provided, too.